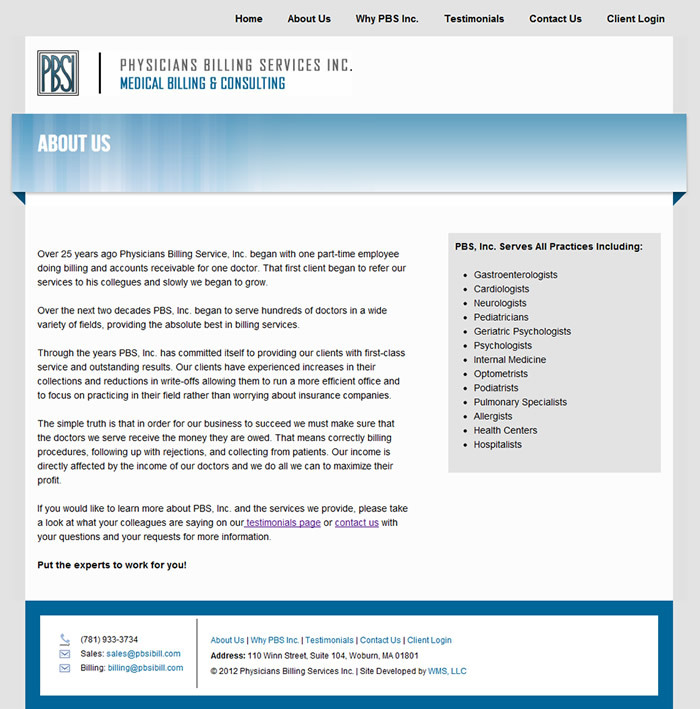 Over 25 years ago Physicians Billing Services Inc. began with one part-time employee doing billing and accounts receivable for one doctor. That first client began to refer their services to his colleagues and slowly they began to grow. 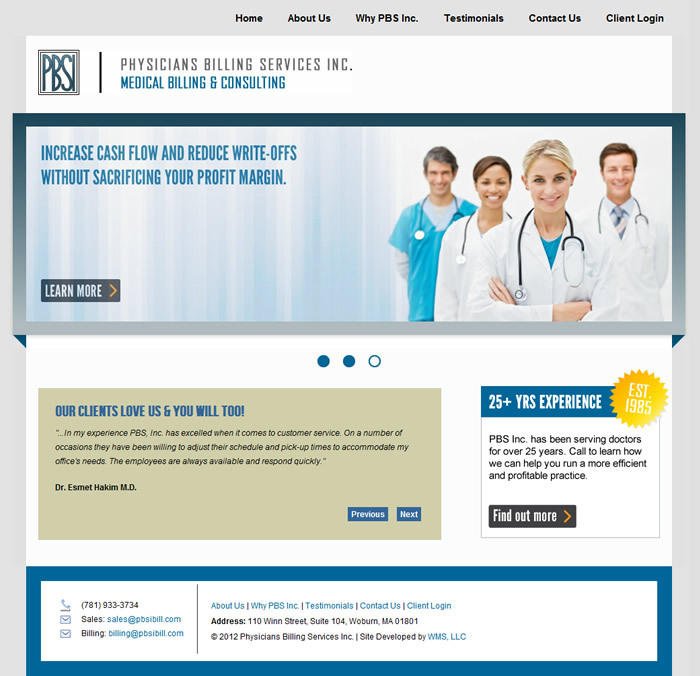 Over time PBS, Inc. began to serve hundreds of doctors in a wide variety of fields, providing the absolute best in billing services. Web Marketing Services, LLC was privileged to work with such a fine organization in developing a site that communicated their long standing reputation for excellence and integrity.